In early October the Camden area may or may not have great foliage because it's right on the coast. 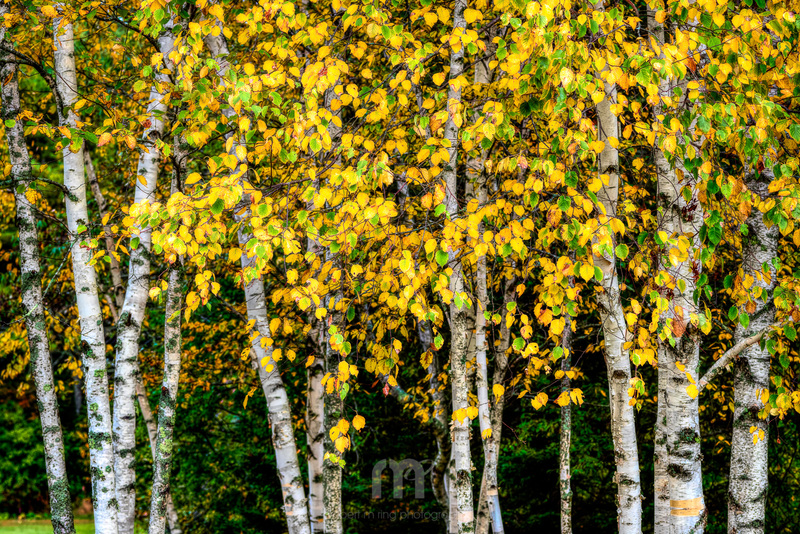 I usually have more 'luck' inland but these birch trees were just glowing! Photo © copyright by Robert M Ring.